This quilt started out as "WinterMint" due to the red and turquoise fabric I had been holding on to for quite some time. I settled on the blocks because they looked like Christmas candies and the name WinterMint followed. 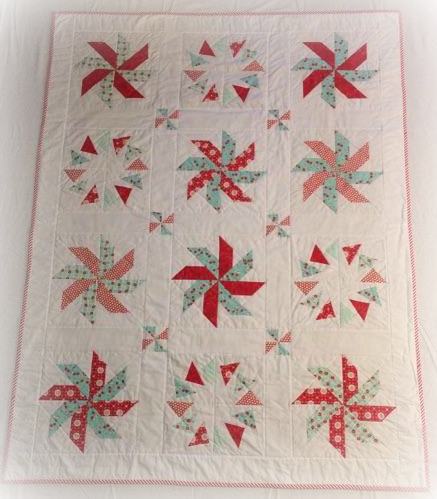 Above is "Circle of Geese" and below is "Whirling Star". 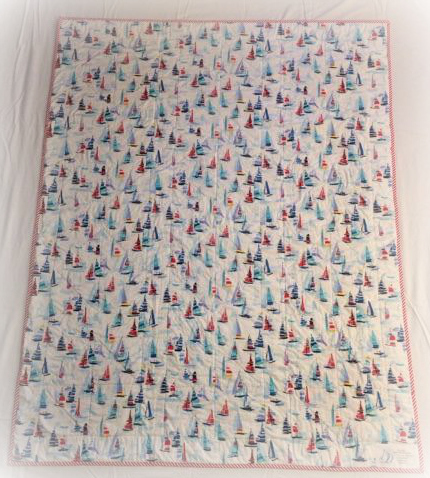 But then as I started looking for background fabric, I fell in love with the sailboat print. I forgot to take a full length picture so all I have is a snippet. I wasn't sure if I could get the two to mix being so different from my original idea. Even tried looking for a different backing fabric, but kept coming back to this. Eventually I realized the whirling look of the blocks seemed to fit with a wind and water theme. 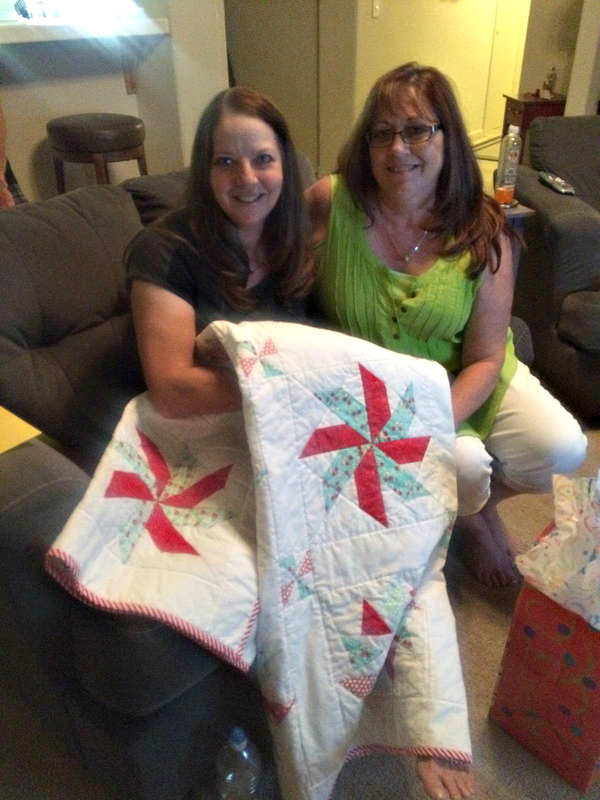 Also, I'd decided to gift this quilt to my sister-in-law who, along with my brother, enjoy outdoor activities! Hence the new name, "DaySail". 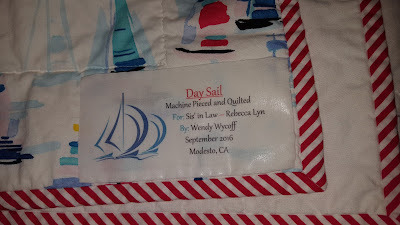 I love diagonal striped binding and it seemed to fit perfectly. This one has been in the making for a several years and I am happy it is finished and in a good home, hopefully keeping her warm and cozy this winter. P.S. I had to rush to put the tag on as I'd forgotten it...so one evening during my brother's visit, I had to sneak off to attach it. An early birthday surprise gift! And now I'm off to work on the next one! 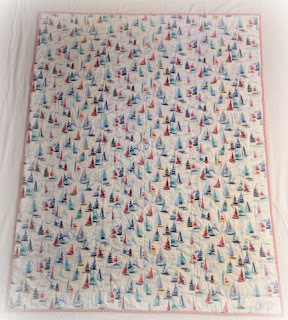 It turned out to be beautiful...I love the how the "sail" theme worked into the whole look of the quilt.